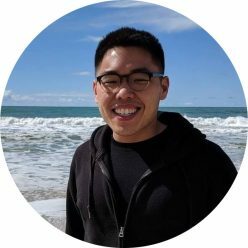 I work on Product at Owler Inc.
Hi, my name is Bryan Sim, and I am a product manager at Owler. Before moving to the Bay Area, I earned my social psychology PhD from NYU. During my short-lived career as an academic psychologist, I was interested in how people pursued their goals. Prior to that, I studied marine engineering at, but soon realized I didn’t want to spend months at sea (because of the monsters). Anyway, after exploring potential careers in data science, science journalism, and UX research (you can see some old projects here), enough people convinced me to try being a PM, which is what I love doing now. My favorite thing about working at Owler is collaborating with engineers and designers who are more talented than I am to provide our members with world-class business intelligence. I work on projects related to onboarding our users, producing insights with our data, and everything else web-related, like SEO. Besides my substantive knowledge about human behavior, my primary skills lie in research methods and statistics. I also code in Python, and use SQL, MongoDB, Google Analytics and Amplitude on a daily basis. Even though I’m most familiar with Python, my favorite programming language is actually Ruby, because I think it is the cutest. Copyright © 2019	Bryan Sim. All rights reserved.